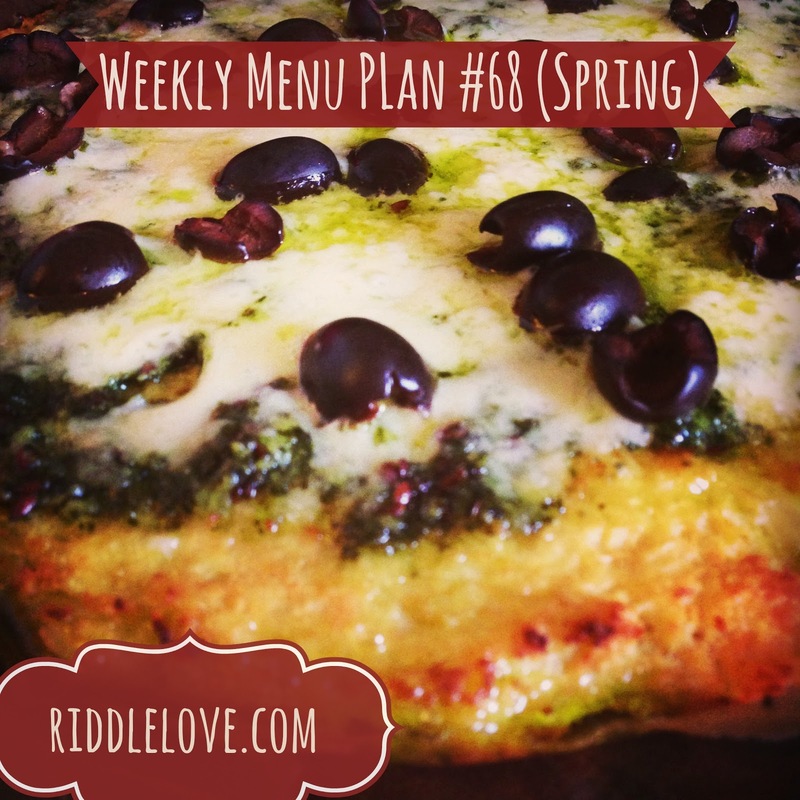 riddlelove: Weekly Menu Plan #68 ~ First Week Of Spring! Weekly Menu Plan #68 ~ First Week Of Spring! This morning after rubbing the sleep out of my eyes, I went to check the menu plan to see what I was making for breakfast and behold, there was none. Woopsies! So here we go. Oh, and happy spring! Wednesday: First Day of Spring! Katie, what do you use for your crust on the Swiss Chard Tart? It looks great! Katie, what did you use as the crust in the Swiss Chard Tart, it looks great! Weekly Menu Plan #69 Easter Week! Weekly Menu Plan #67 Saint Patrick's Week! Bethel's Wellness Seminar: I'm Speaking!